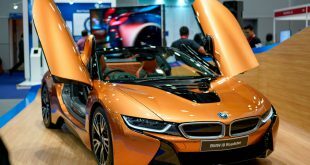 BMW Group Malaysia today unveiled the second generation of its successful premium compact Sports Activity Vehicle (SAV), the all-new BMW X1 sDrive 20i. As the successor to the model that blazed the trail in the premium compact segment, the all-new BMW X1 takes the stage with an body design straight out of the BMW X model mould by carrying rugged proportions and impressive variability. The interior, meanwhile, offers significantly more space with a cutting-edge premium ambience and functionality grounded in solid engineering. Alongside its industry leading driving dynamics and efficiency, the all-new BMW X1 is also fitted with a host of innovative equipment features; all of which combine to secure its stand-out position as the urban all-rounder. The all-new BMW X1 is made available in the Sport Line variant and is the first BMW X model to be created on the new, efficiency-optimised front-wheel drive platform from the BMW xDrive intelligent all-wheel-drive system. 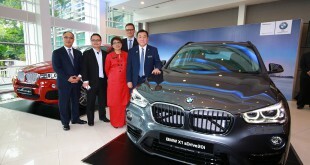 Other distinctive highlights of the all-new BMW X1 sDrive20i include the latest, powerful and highly efficient four-cylinder engine, all-new chassis technology, newly designed interior with significantly improved space and versatility, and a new segment leading, comprehensive BMW ConnectedDrive suite of technologies – the first in the Malaysian premium segment. The passing of the baton from the original BMW X1 to the all-new second generation model encapsulates a far-reaching maturing process clearly expressed in the design of both the exterior and interior of the all-new SAV. Robust proportions, powerfully sculpted surfaces and design features typical of a Sports Activity Vehicle lend the all-new BMW X1 an assured apperance that is immediately identifiable as a member of the BMW X family. As the sportiest SAV in its class, the all-new BMW X1 symbolises ruggedness and athleticism with its dynamic wedge shape, angular wheel arches and a more central position of the occupant cell. 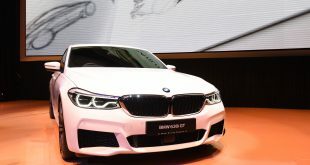 Its front end dones a rugged interpretation of the kidney grille and the characteristic “six-eyed” appearance formed by the twin circular headlights. Its headlights with LED headlights also highlights an extended range of features including LED daytime running lights and parking lights, cornering lights, adaptive light distribution and LED rear lights. 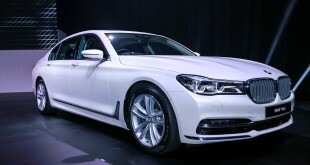 Its rear meanwhile features wide taillights in typical BMW L-shaped light strips. 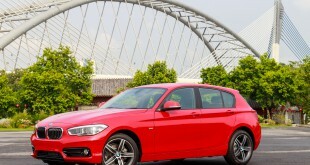 The all-new BMW X1 also features 18” double spoke light alloy wheels as a standard offer with the Sport Line package. At 4,439 millimetres long, 1,821 millimetres wide and 1,598 millimetres tall, the proportions of the all-new BMW X1 follow the Sports Activity Vehicle blueprint in compact form. However, with 53 millimetres of growth in height, the all-new BMW X1 offers superb spaciousness in its interior. The multitalented model not only offers more space for passengers and luggage, but it also impresses with additional versatility when it comes to utilising its load-carrying capacity. The most notable progress, however, in the areas of functionality, safety and comfort of the all-new BMW X1 is the raised seating position by 40 millimetres; thus offering both the driver and passengers a number of benefits. Among the many is an outstanding all-round view, which simultaneouly brings added safety in road traffic. 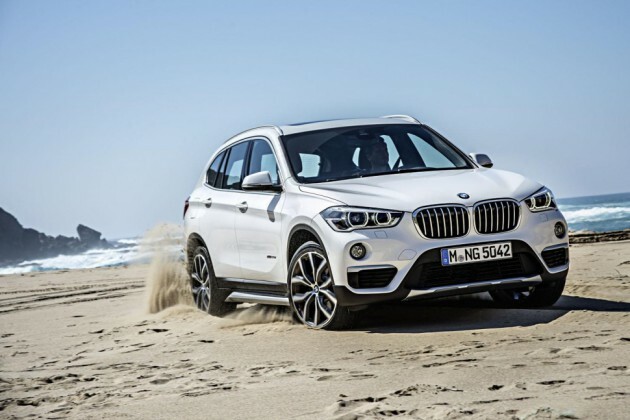 Entering and leaving the all-new BMW X1 also become substantially more convenient for all passengers. In combination with the lowered position of the intrument panel and large window surfaces, the elevated view creates a pleasantly generous sense of spaciousness. While the all-new BMW X1 impresses everyday urban life with its compact exterior dimensions, concealed behind that is far more than possibly imagined. Due to the front-wheel drive platform and the transverse engine, the all-new BMW X1 has an interior that is especially spacious and versatile. An additional 37 millimetres of legroom for rear-seat passengers for example, takes comfort in the all-new BMW X1 to a new level. Further to this a 40/20/40-split folding rear seatback as a standard feature allows for increased seating comfort in the rear or increased luggage capacity from 505 to 1,550 litres. Additional features in the all-new BMW X1 include air conditioning in the rear, a sports leather steering wheel, sports seats, an electric parking brake, two cup holders in the front with roller-blind closure, storage compartment package with features such as storage compartments under the front seats, storage nets on the front seatbacks, and a rear centre armrest with cup holders, among others. 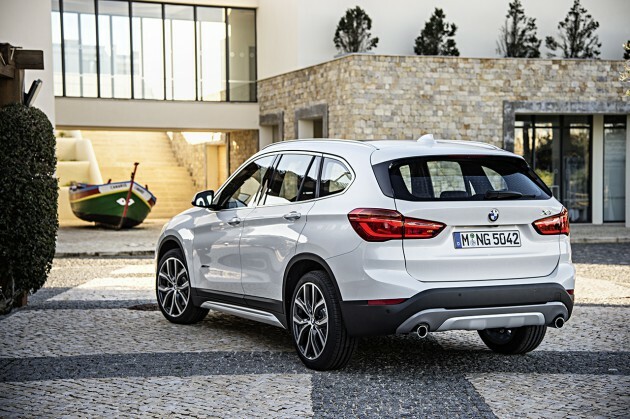 The all-new BMW X1 is available in Alpine White, Black Sapphire, Mineral Grey, Chestnut Bronze and Mediterranean Blue, with a range of Leather Dakota upholstery colour choices including Black, Red highlight and Mocha. The retail price on the road, without insurance with BMW Malaysia’s latest 5 Years Unlimited Mileage Warranty and Free Scheduled Service Program of the all-the BMW X1 sDrive20i is RM279,800.00.